Recently, I connected with Simply Colors and had the privilege of designing a personalized shirt to review from their site. "Simply Colors is a European clothing line for babies, toddlers and children. Our internationally recognized brand is represented by company offices in Australia, Belgium, Canada, France, Germany, Greece, Italy, Netherlands, New Zealand, Spain, Sweden, Switzerland, Turkey, United Kingdom and USA. Simply Colors offers exceptional quality baby and children’s basics in 13 eye-catching colors. Made of super soft 100% cotton, they wash like a dream. Sizing ranges from newborn up to 8 (and T-shirts 10) years of age. Kids love the bright colors and fun fonts, and having their name or favorite image on t-shirts, body suits, (sweat) pants, dresses, hoodies baby hats, bandanas, sleep sacks and more. You’ll enjoy the extremely easy-to-use website; it shows the exact results of your creation. The possibilities are endless ~ you 'simply' can't go wrong! With many options under $25, you can order a walking birth announcement with an “I'm gonnan be a Big Sister/Brother” tee, offer a unique gift for a baby shower, newborn, twins, birthday or create very original outfits at kid's birthday parties. You name it, we make it! We hope you will have fun shopping at our store for a unique gift or for your own kids, and we trust that you'll enjoy our collection as much as many others have done before you! We hope you will have fun shopping at our store for a unique gift or for your own kids, and we trust that you'll enjoy our collection as much as many others have done before you!" Their site was very easy to navigate, I designed and placed my order all on my phone in about 15 minutes or less! 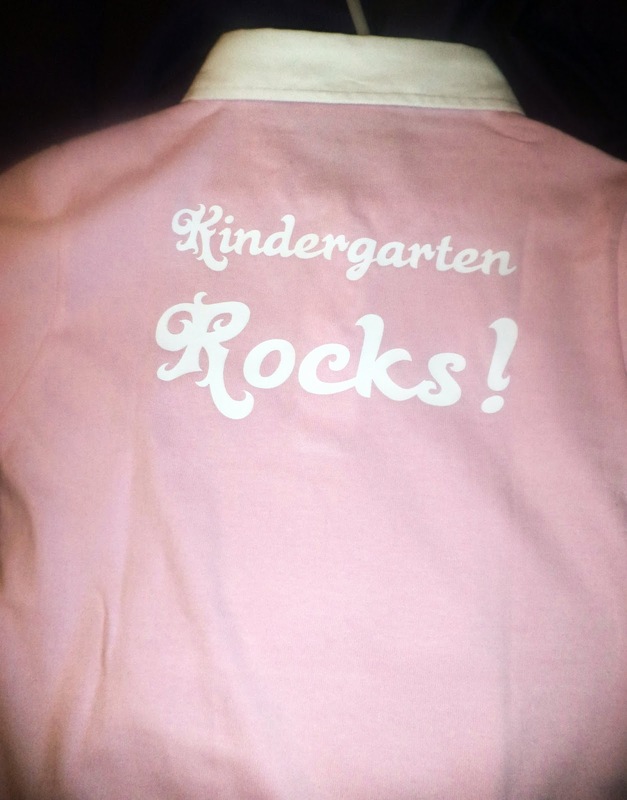 I had a lot of fun designing a shirt for my daughter, who is starting Kindergarten this year! I went with their rugby shirts in light pink and had my design placed on the back, I would’ve loved to create a just a t-shirt but her school has a dress code where their shirt must have a collar so I was thrilled to see that they had a wide variety of polos and rugby shirts that i could fit into the dress code! I think this will be so much fun for her to wear this year to Kindergarten and it will definitely show her enthusiasm! Picking our shirt and design was so easy and so much fun! They have great graphics, high quality materials and lots of color. And It arrived quickly and I was very impressed with the quality of the shirt and printing. It looked really sharp and crisp. They have a large selection of clothing and accessories you can have personalized for kids and adults. I am definitely going to be shopping there a lot hopefully getting my son who will be going to 1st grade a shirt made too. If you are looking for a custom pieces for a special occasion or for a unique gift, take a look at Simply Colors because they have it all!